Thanks to product innovation wool can be coloured and treated in a plethora of highly technical ways to achieve a multitude of colours, textures and weaves. 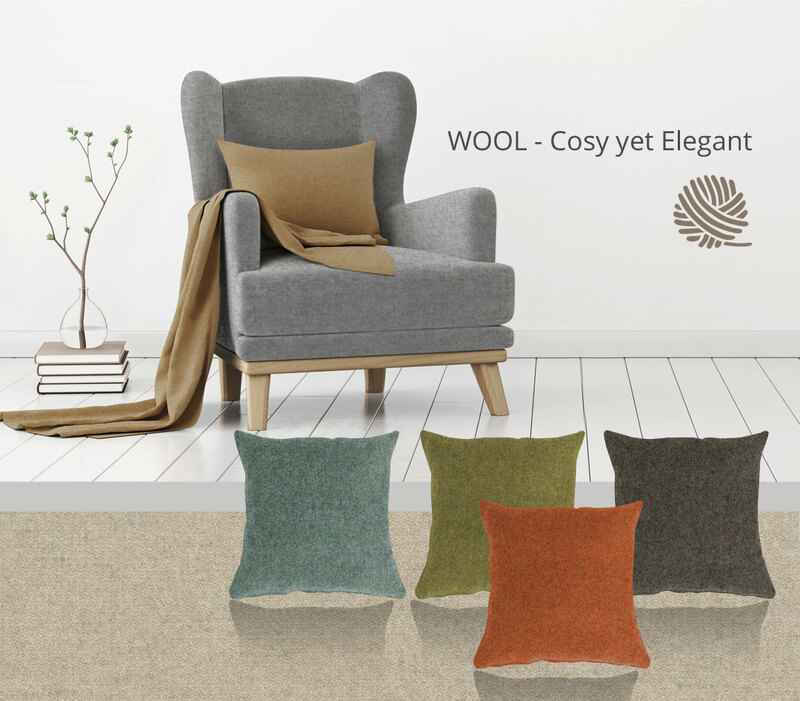 Whether you want a slick, modern and minimalist look or a range of rich colours you will be able to find WOOLLAND fabrics to suit your style. You can choose between 44 colors! Couches or chairs covered with wool upholstery will tend to stay looking luxurious for many years without wrinkling, creasing or compressing. Maintenance is easy and usability is great as our WOOLLAND fabrics are water-repellent and fire retardant.